After enjoying the sun for a few hours and picking up some souvenirs for our loved ones, we made our way to a cobblestone street called Molenstraat for our canal tour. 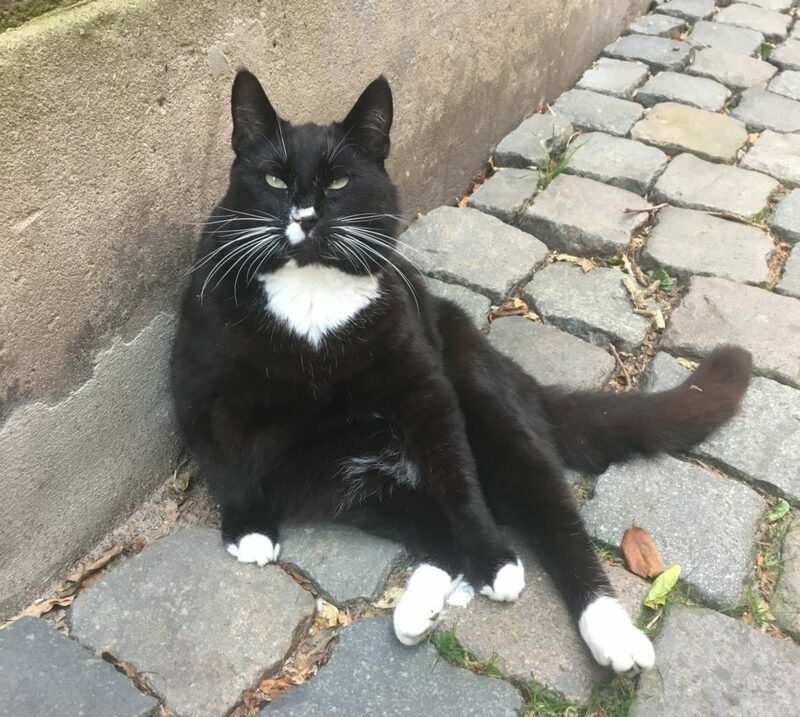 Along the way, Morgan and I met a friendly Dutch alley cat. 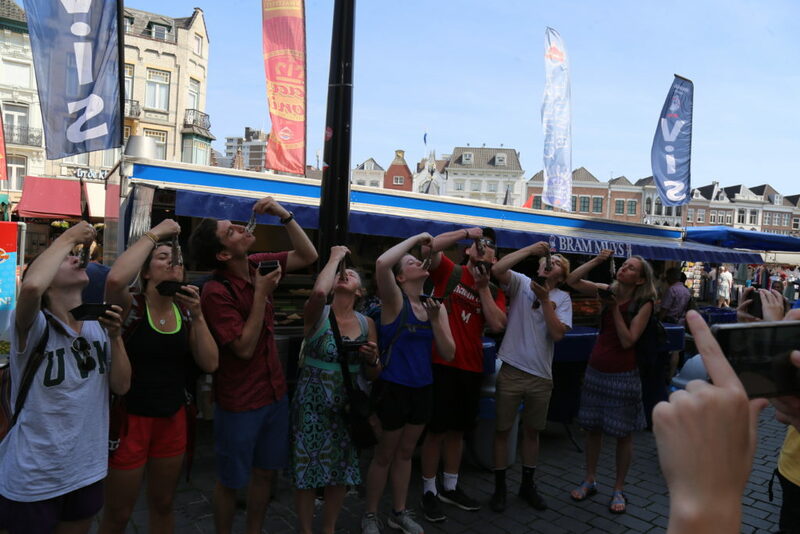 The tour company that we used for our canal tour is run completely by volunteers, who simply love the town and are interested in sharing its history. 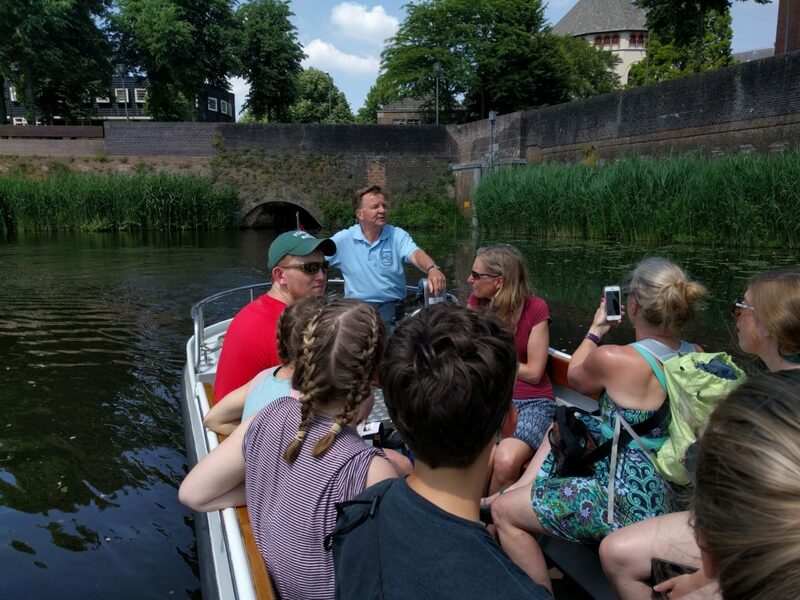 Our tour guide steered us through the canals, which ran underneath the city streets. The canals were lined with beautiful stone houses and a cathedral. Some of the canals led into underground tunnels, which were completely dark, and our pathway was lit only by the headlight of the boat. We were happy to get out of the afternoon sun for a few moments as we passed through. As we passed under the streets, our tour guide pointed out the lines painted on the sides of the canal, which were used in the 1990’s to mark the water levels. Locals use the lowest streets in the city to measure how high the water gets in the flood season. In 1995, the water was so high that it almost reached the street level! The tour guide pointed out the open pipes in the tunnels, and told us that the sewage was directly released into the canals up until the late 1990s. After a rat infestation, the city decided that the direct sewage release was a “disgrace”, and decided to rebuild the sewage pipes. The first female prime minister of the Netherlands was able to have the canal systems registered as a historic site, qualifying them for federal funding. The funding has since helped them rebuild the sewage pipes, as well as refurbish some of the tunnel walls. Overall, we were amazed at the rich history of Den Bosch. Coming from America, we think that a few hundred years is a long time ago, but the canals were built over 600 years ago! 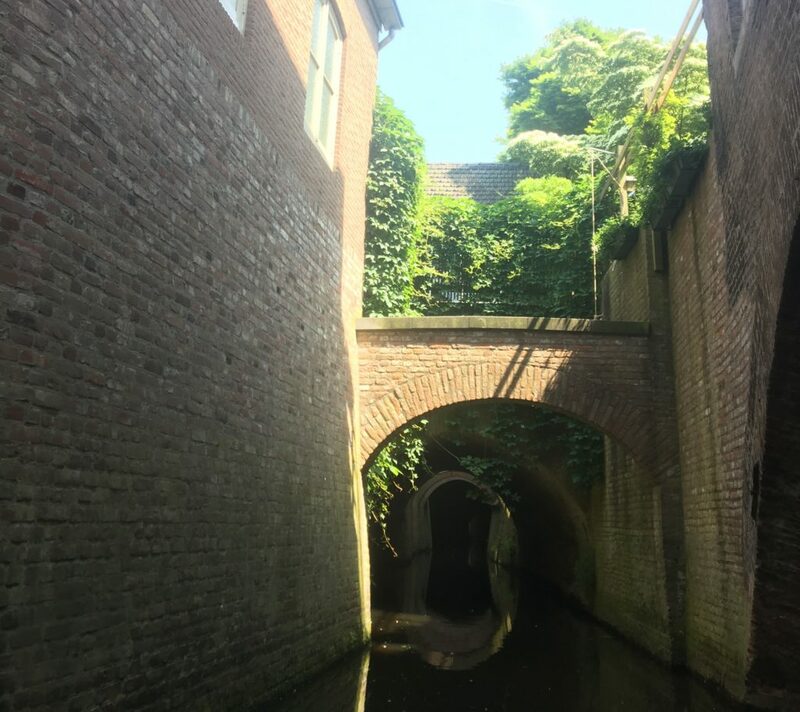 It was incredible to see how sturdy the structure of the canals and streets have remained, and how the Dutch have left their appearance virtually the same as when they were built.